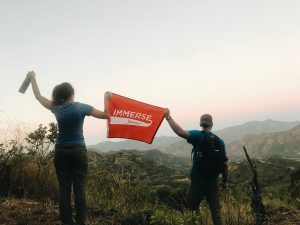 What is an immersion experience? 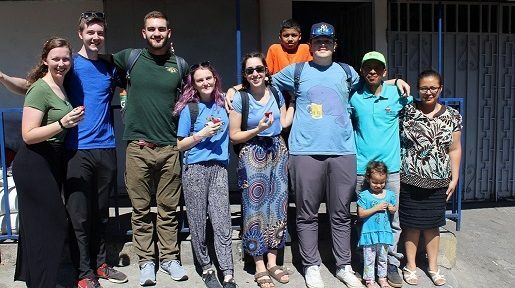 Immersion experiences are 7-10 day structured trips to domestic and international locations where students are exposed to issues of poverty and injustice while experiencing unique cultures and environments. Students engage in direct service activities, participate in experiential learning, and make educational site visits – while living in the very communities that they are serving. The Immersion Program is rooted in five pillars: education, service, social justice, community, and spirituality. Program participants are invited to grow in each of these areas during the experience preparation, the trip itself, and the post-trip reflection. The Immersion Program is sponsored by Campus Ministry at John Carroll University. What are the expectations of an Immersion Participant? Participate in all of the pre-trip preparation sessions. You can find an example of a preparation schedule here. Your participation in these activities is necessary for your group to develop community and to be knowledgeable about your immersion location. Refrain from the use of electronics (ie. i-Pods, cell phones, etc.). Demonstrate appropriate and respectful use of digital cameras, video cameras, and other recording devices during the trip. Participate in the post-trip reflection day and any other activities coordinated by the student coordinators. Refrain from the consumption or purchase of alcohol during an immersion experience (INCLUDING students over the age of 21 or legal drinking age in respective country). Be open and willing to this transformative experience! **Please note a student may NOT participate in a May immersion experience if he or she is planning to enroll in a course in summer session I OR if you graduate in May! What are the different immersion experiences being offered? Click here to see which experiences are being offered over the next school year. Applications for participating in a January 2020 trip are due February 28th by 11:59pm. Schedule an interview on March 12th and 13th between 11am and 4pm in the Murphy Room in the Student Center. After you submit your application, you will be directed to a doodle poll where you can fill out your availability for an interview. What do you hope to get out of an Immersion Experience? What do you hope to bring back to the John Carroll or Cleveland communities after your Immersion?